iPhone apart from being one of the best smartphones is also the most popular camera of the world. Almost every user who has an iPhone loves to take photos with this device. Unlike other cameras the iPhone allows them to edit, share as well as backup their photos on their favorite online services. Taking a photo is just one part of the task as one of the most important part of taking images is preserving them so they can be accessed even years after you took them so they could remind you of your best memories in life. 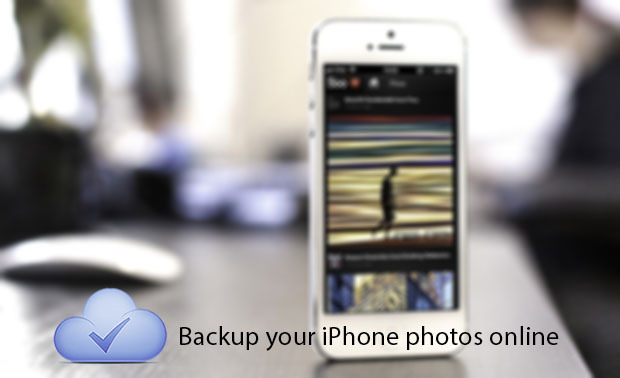 In this post we are going to tell you about 5 ways to backup your iPhone photos online. We have created a list of top 5 online services for iPhone, iPad and iPod touch that allow users to easily upload their photos in the cloud and access them whenever they want. Uploading photos in the cloud means you don’t have to worry about losing them incase your iPhone gets lost or hard drive becomes dysfunctional. If you are a Dropbox user then using this service to backup your iPhone or iPad photos is one of the best options you can have. Dropbox’s official iPhone app has an option that allows users to upload images stored in their Camera roll automatically to Dropbox’s servers. Once enabled the Auto-upload feature of the Dropbox app for iPhone takes the matters into its own hands and creates a backup of photos you take with your iOS device once you are connected to the internet. The photos uploaded with the app can be accessed through the app itself as well as through Dropbox website and apps for other platforms. To enable download the Dropbox app for iOS from here and then sign into your account. Next tap on the Photos tab from navigation bar and then tap on the ‘Enable’ button. Then follow the instructions that appear on your screen. 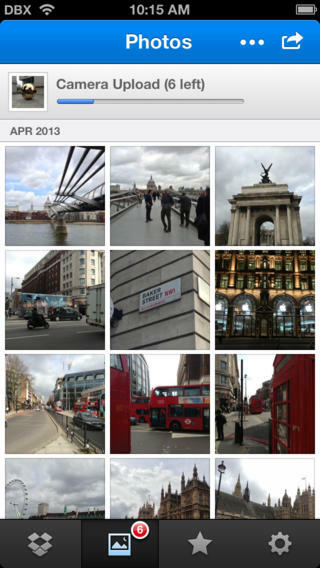 While Google+ is a social network it is also an excellent place to store photos. Don’t worry about privacy as you can upload photos as private and make selective ones available on your public profile manually. By enabling the auto-upload feature of Google+ app for iOS users can not only backup their iPhone photos but also videos to Google’s social networking website. Google provides 15GB of online storage and limits each photo upload to 2048px on the iOS app. It resizes the images larger than that so if you want to upload high resolution photos taken from your iPhone you can upload them through its website. Copy is a less known service that you can use to backup your iPhone photos and other files in the cloud but it is pretty reliable. It is available for desktop as well as on mobile, which makes it a great service for those looking to access photos on other devices than iOS. Users have the ability to keep their files private or share them online with friends through the invite feature. You can download the Copy app for iOS here. SugarSync is another great service to upload and backup your iPhone photos. The app has strong management options and is also available for desktop and Android platforms making it easier for you to access your photos and videos elsewhere. It enables users to sort their photos and other types of files in folders and share links to their files with anyone. SugarSync is a paid service and offers a 30-day trial. Learn more here. One of the best and simplest ways to backup your photos online is through Apple’s own iCloud service. 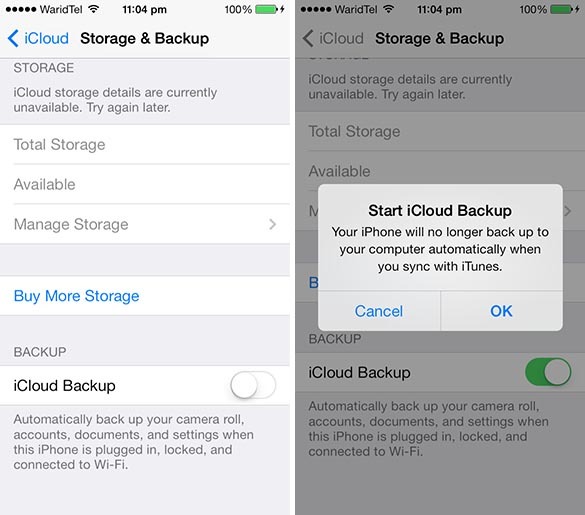 Backing up photos over iCloud does not require much from the user and once configured works quite seamlessly. The iCloud Backup uploads photos to the cloud but it also syncs them with all connected devices through Photo Streams feature. So if you took your photo from your iPhone it will automatically appear on the iPad and the Mac provided you are using the same Apple ID on all devices and are connected to the internet. 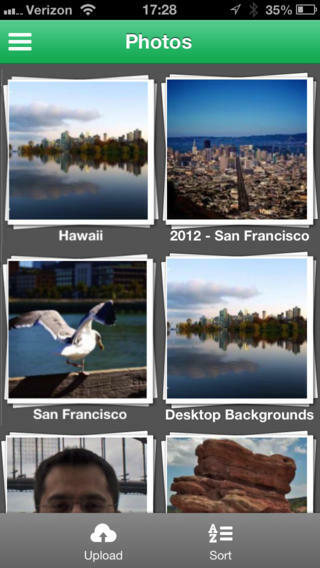 Photo Streams also has sharing feature that enables users to share selective photos with family and friends. On the Mac Photo Stream images are available through iPhoto app. Apple only gives 5.0GB for free to every iOS user. Additional storage can be purchased by paying yearly charges of $20 for 10GB, $40 for 20GB and $100 for 50GB.